A woman, 37 yo, with fever, dyspnea in the past two weeks that became worse and with hoarseness and dysphagia one day before hospital admission. 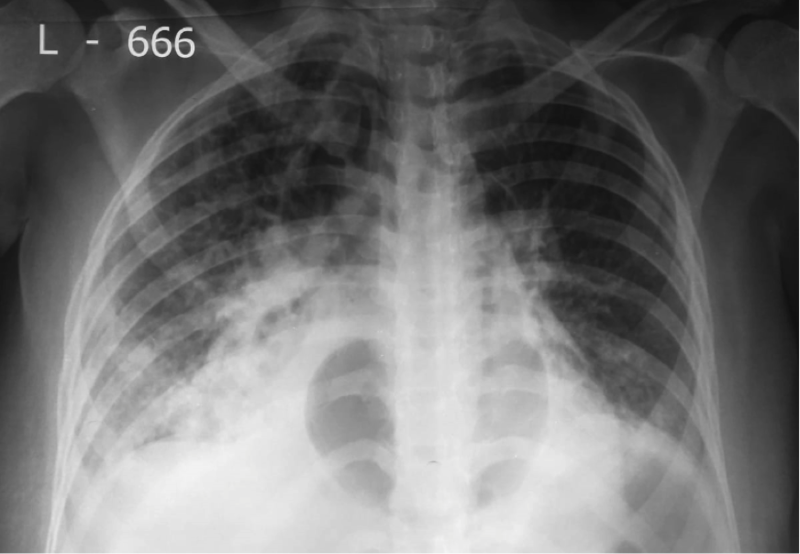 The patient had hypoxemia necessitating oxygen, and the chest x-ray is shown below. Which radiologic findings can you identify? What are your diagnostic impressions?